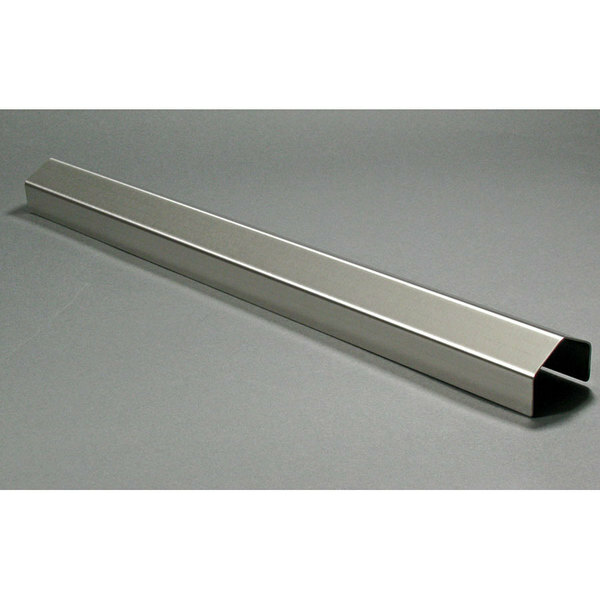 Stainless steel strip designed to join two fryers side-by-side. Fits Frymaster GF-Series and Anets floor fryers. This product works great for closing the gap between our fryers. Keeps oil and particles from going between the fryers. Helps keep our kitchen a little cleaner.. This connector strip goes between our 2 fryers and not only holds them together but also keep grease from dripping down in between. It’s worked great from day 1. Wish I had ordered it sooner. This product works great and does the job that it is supposed to do. Keeps stuff from falling in between the fryers and cuts down on cleaning time. It should last for ever. We purchased these recently after pondering it for months. They felt like a luxury, something to invest in if sales went over the top. Well we were wrong! This connector saves us so much product from falling in between fryers on busy nights, and it keeps the whole area clean. The hours I've had to pay people to scrap grease off the sides of fryers haunt my dreams now. I wish we had gotten these years ago, it just makes the fry station cleaner and more organized. This Fryer Connector Strip is the best one I have! Lowest price in the web and the market. I love it so much. Very good quality. Great!!! !